This article is 308 days old. The summer heat is here and you may be looking for the perfect place to cool off. Here is a listing of local pools, splash pads and beaches that are currently open for the season. Open for recreation swim daily. Find the schedule here. Open daily from 10am to 9pm. Open every day from 10am to 7pm. 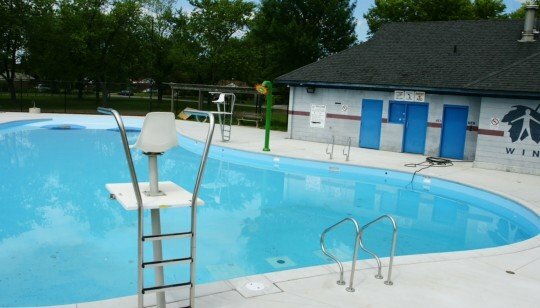 Opens for daily swimming on July 1st from 10am to 8pm. Open daily for swimming. Call 519-969-7771 for times. Located in Colchester at 100 Jackson Street, Harrow at McAffee Street and at the Essex Sports Complex. Located at AKO Park, Fred Thomas Park, Kim Lucier Park, Mic Mac, Ford City in Garry Dugal Park, Captain John Wilson Park at 3950 Ducharme Street, Jackson Park and Realtor Park. Open daily from 10am to 8pm. Open June 30th for the season. Visit their website for swimming times. Open daily from 1pm to 7pm.